Catwoman #3: chaos, curves & puurrfect cliffhanger makes for an incredible tale from artist and writer Joëlle Jones and her team. 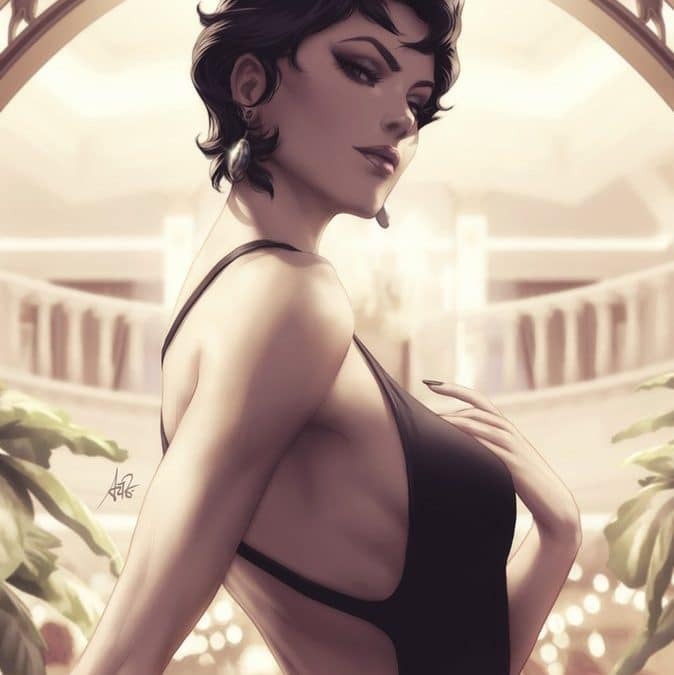 The variant covers by Stanley “Artgerm” Lau have been nothing short of amazing for the entire run so far, but Catwoman #3, I mean . . . WOW! 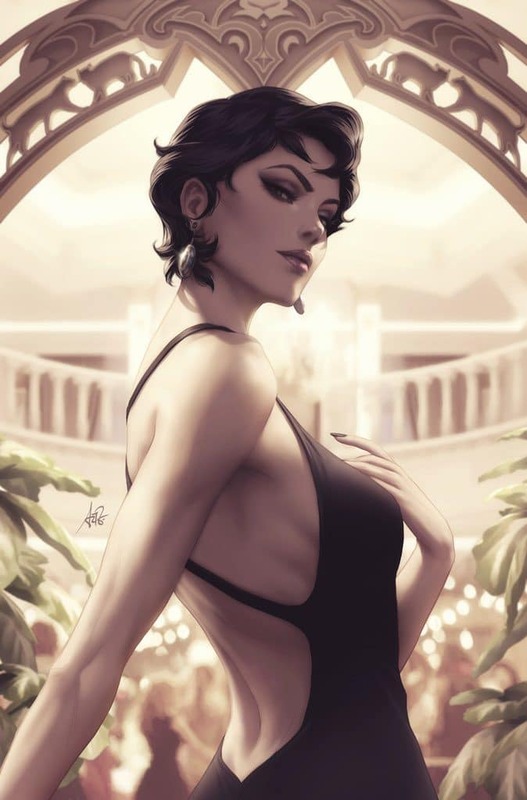 There are few words that can describe the powerful, scintillating, and, just, stunning depiction Selina Kyle in the Joëlle Jones-designed dress that Stanley “Artgerm” Lau paints. There is no superhero costume in view and none needed. If you have not read Catwoman #1 or #2 or Batman #49 or #50 there is a mild Spoiler in the following paragraph, but otherwise we are operating SPOILER-FREE today. Coming off a heart-wrenching abandoned wedding, Selina Kyle abandons Gotham for San Francisco where a new villain’s plotted narrative grabs a hold of the opportunity to frame Catwoman for murder and subdue her to her will. And Selina finds herself in a warehouse full of Catwoman costumes and many ready to fight. 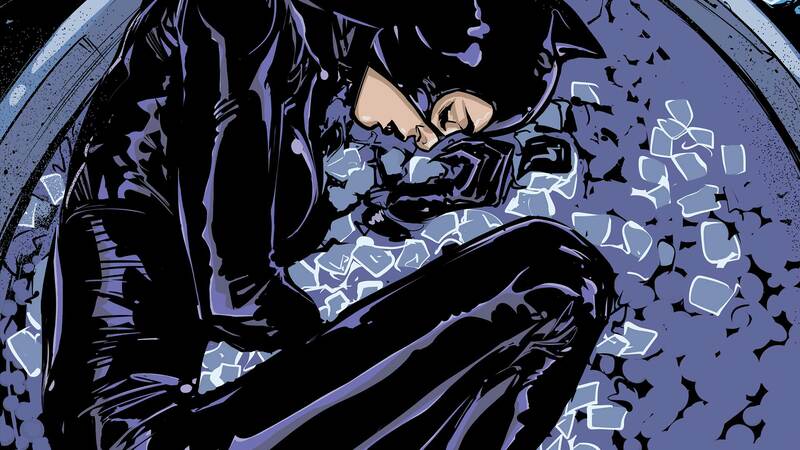 The story is growing in intensity as the still grieving Selina attempts to heal in a city gunning for her. The writing overall, from the character arcs, the new villain, to the dialogue, to the many wrinkles, twists, and turns of the plot, is extraordinary. Catwoman #3 further proves Joëlle Jones has so much more to add to the Catwoman mythos and we can only sit riveted waiting for more. 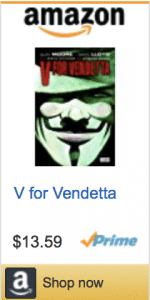 And that puppeteer-villain is grotesque in every way imaginable. Raina Creel, wife of the governor, is creepy, manipulative, murderous, and ruthless. Her network reminds one a little of the Court Of Owls, if they had a San Francisco chapter. But we will have to read more to see how deep her malice and power goes. The art by Joëlle Jones and Fernando Blanco, color by Laura Allred and John Kalisz, lettering by Josh Reed, the main cover by Jones and Allred, and the wild variant cover by Stanley “Artgerm” Lau is top-notch in every respect. The look and feel of San Fran varies greatly from Gotham and is captured very well, as is the ballroom, the ice-cubed filled bathtub recovery space, and the myriad Catwoman costumes. The depiction of martial arts, and even brutal bat-swinging, spring off the panels in Catwoman #3. And at the climax and the very last page we get a major cliffhanger that deals with Selina’s own backstory! To say this book and series is a gem is an understatement! 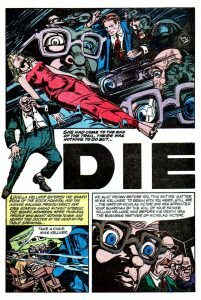 Grab a copy at your LCS now – Red Shirt Comics got me! “Catwoman #3: Chaos, Curves & Puurrfect Cliffhanger” was written by R.J. Huneke.